The return of the retro accessorises that kinda take me back to my school days when my mother would tie my hair and my sisters hair up and cake our hair in wonderful but super glorious hair clips! I remember at the time thinking I can not go into school like this, and what do you know this falls biggest trend is exactly that with a little more elegance but with a little sass! There was an 80’s vibe from the Tom Ford show with large black headbands covering the forehead alongside a messy hair do. Zaidig & Voltaire showed off crystal encrusted hair accessories that would catch your eye from afar and it’s one of my favourite so far. 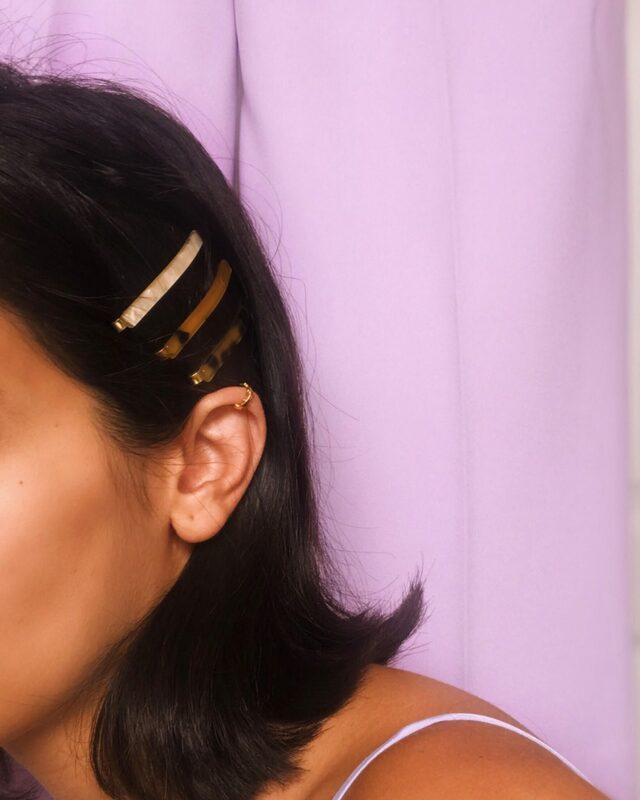 These are the cool hair accessory trends that you can wear at any age, yes any age! I thought once I had left school I would no longer be wearing them and here I am 15 or so on and I have a whole collection to wear all season long. And its not just pretty hair clips taking the light, the return of the scrunchies is well and truly here and its the perfect “hair candy” you guys can add to your wardrobe that wont break your balance. I’m wearing these (here) from accessorize and decided to wear it stacked on top of each other with my hair slicked down and I can’t get enough so I’ve picked a few from the high street. Forever 21 – Under £2.00 and great for stacking in multiples!